Sandisk has ditched the SandForce SF-2281 controller found in the original Extreme series, and equipped the 7mm profile, 6Gbps Extreme II with a Marvell 88SS9187. 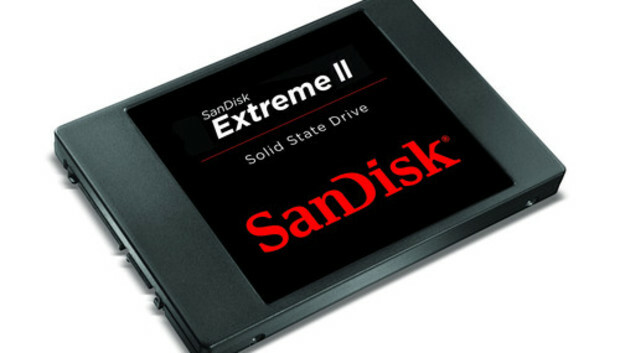 The combination of the new controller and fast, 19nm toggle-mode NAND allowed the Extreme II to outpace the sustained write performance of such capable drives as OCZ's Vector and Corsair's Neutron. The 240GB version wrote our 10GB large file at 644.3MBps and read it at 479.8MBps. With small files, however, the Extreme II was strictly mundane, writing our 10GB mix of files and folders at 352MBps, and reading them at 373.6MBps. The 480GB version posted numbers nearly identical to the 240GB's, but the 120GB model wrote files significantly slower. That's the norm with SSDs with less than 240GB/256GB capacity, as there are fewer chips and channels to write across, although the dropoff can vary. The 120GB drive was actually the fastest drive we've seen to date--485MBps--when reading our large file, but it wrote it at only 465.6MBps (nearly 200MBps slower than the two more capacious models). The 120GB model read our 10GB mix of files and folders at 378.9MBps, which is about the same performance as the larger capacities turned in, but it wrote it at 300.8MBps (60GBps slower). The 120GB version of the Extreme II retails for $130, while the larger 240GB and 480GB models cost $230 and $440 respectively. That's nice pricing for units with a five-year warranty and top-notch performance. Sandisk rates the drives for 80TBW (TeraBytes Written) plus. If you can scrape up the extra bucks for the larger capacities, you'll get significantly better write performance. Note: There's no cloning software included with the Extreme II, but the downloadable Sandisk Toolkit utility provides S.M.A.R.T. info and allows you to update the drive firmware as new versions become available.